"MITDR™" appears in the rim text of the disc. "Made in the Designers Republic" (from warp.net). Black disc, packaged in die-cut and spot glossed slipcase. Outer sleeve has a cutout on the front and the inside sleeve has a cutout on both sides. Some copies have a release sticker added, stating "Out 21-08-15", however, warp.net mentions 20/08/2015. I really like the packaging for this CD, but the tracks themselves are decent in my opinion. I think they can be a little repetitive. Ps1 Style disc, y are there not more albums released like that? 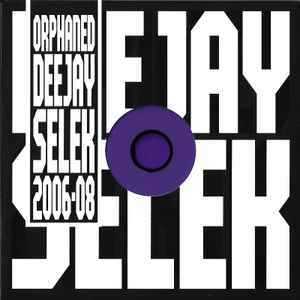 The interesting thing about Orphaned Deejay Selek 2006-2008 is that it was recorded around the time he finished the Analord series and during the The Tuss sessions. You really can here the similarities between this EP and both series, which is why I like it. Black polycarbonate disc, just like the discs for the PS1 game console, awesome.